The Dragon Age comic series originally scheduled to launch next month has been pushed back to April, while the second issue in the series won't hit shelves until June. Announced in December, the Dragon Age comics won't retell the story that unfolded in Dragon Age: Origins, but will instead focus on the powerful Circle of Magi, which unwittingly unleashed the Darkspawn on the world centuries ago. "Now magic is carefully controlled, taught behind the sacred walls of the Circle of Magi, and monitored by the ever-vigilant Templars," publisher IDW said in the original announcement of the series. "It is in this arena that a new generation of Mages in training will arise, warriors of sorcery who will defy the rules of the Templars and change the course of the world forever." Sounds ominous! Unfortunately, Dragon Age fans are going to have to wait a little longer than they thought to find out what's in store for the world of Thedas; IDW now says the debut issue won't be coming out until April, while the follow-up is scheduled for a June release. Also interesting is the fact that, according to Big Download, best-selling author Orson Scott Card is still "expected" to co-write the series along with Aaron Johnston. And now, here's a little insight from someone who used to buy a lot of comics. When the first issue of a new series gets pushed back a month and the publisher admits that it'll take another two months to come up with the second issue, things are not going well. 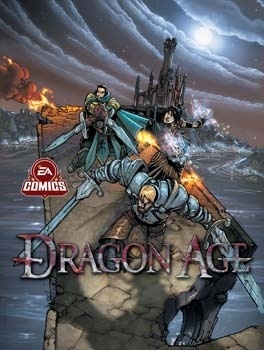 Add to that the fact that Card, best known for the Ender's Game series of books, is now "expected" to write the series and it's probably fair to say that the Dragon Age comics may be in for a very rocky ride.